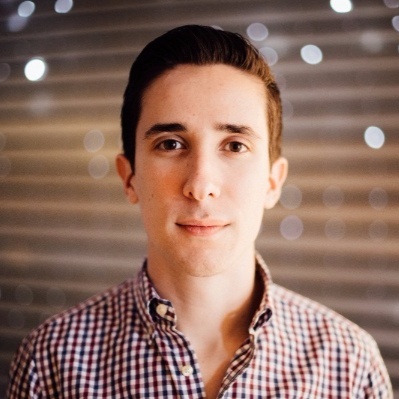 Editor's Note: This guest post was contributed by Allen Gannett who is the CEO of TrackMaven and author of The Creative Curve, due out in June. Your CFO stares at you. It’s the question you’ve been dreading: can you prove that your campaign drove sales? Images of extended job searches start dancing around in your head. I’m getting fired. Do I have a resume? I don’t even have a good suit for interviews. As digital marketers, our industry is going through an existential crisis. As traditional marketing has given way to social and digital content, our “new” methods are being questioned. Even though most traditional marketing such as television and print has no easy ability to measure ROI, digital is being forced to a higher standard by C-suite teams. As a result, we have begun to develop analytics Stockholm syndrome. At marketing conferences, Adweek columns, and amongst ourselves, marketers have started beating the drum that digital marketing without ROI measurement is the equivalent of burning crisp dollar bills. Faced with mounting internal pressure, we have decided that all of our online campaigns must have a direct, measurable result. Reporting on audience growth or, god forbid, engagement is now viewed as amateur. The problem is that this obsession with measuring ROI leads to a simple conundrum: You can’t get ROI from an audience if you don’t have an audience. In seeking to mature digital marketing, we’ve forgotten that the role of marketing is multi-faceted: it’s not only to build short-term pipeline, but to build a long-term audience that can deliver results over time. Netflix has won almost 40 Emmy awards for its original programming. But what is perhaps most interesting for marketers about Netflix (other than providing hours of distraction), is how the company uses data. Ted Sarandos is the Chief Content Officer of Netflix. He and his team are tasked with all content licensing and original programming. I interviewed him as part of my upcoming book on creativity. Unlike marketers, Netflix does not just focus on ROI when it comes to content decisions. To do this, they’ll look at two main types of metrics: starts, completes. Let’s say they are being a pitched a show with Owen Wilson as a lead character (hopefully it’s a Wes Anderson TV show!). Netflix would go back and look and see how often people started watching movies or shows with Wilson. Next, they would see how many people completed them. Do people watch the movies all the way through? Or do they get bored when Wilson starts making dad jokes? This helps Netflix decide what content to create. Rather than simply guess, they can ensure that they pick the right shows, and invest the appropriate amounts. Then once a show is out, they can look not only at views, but business metrics like subscriber retention to look at return on investment. As marketers, if we obsess over ROI, we are preoccupying ourselves with the rear-view mirror. It’s a slow, painful way to improve. I believe marketers need to have a balanced data approach to their analytics. This means not only measuring ROI metrics, but also measuring leading metrics. ROI metrics are straightforward. These could be sales, renewals, lead submissions, or anything that serves as a proxy for revenue. On the other hand, leading metrics measure predictive or real-time audience engagement. They give you leading indicators about what content will resonate with your audience. This includes metrics like social shares, page views, and even comments. If your content about a specific topic tends to get significant engagement, that may not lead directly to ROI, but creating more related content will help you build an audience that will eventually translate into sales. It can be easy to succumb to the existential crisis of marketing and over-rotate on ROI, but you will suffer a slow marketing death. You will send more emails and run more interruptive ads. As your prospects get annoyed with you and leave, you will have to send even more emails and run even more ads. The cycle continues until your audience has shrunk from fatigue and you’ve exhausted all possible gimmicks. But by using balanced data and continuing to focus on building an audience, you can drive revenue for the long-term. As marketers, we can’t let our desire to prove value cannibalize the actual creation of value. ROI is a goal—but not the only one. To keep pace with the latest thinking on metrics and other key topics in digital marketing, subscribe to the LinkedIn Marketing Blog today.